We all do it — just one quick text while stopped at a traffic light. What harm can one text possibly be? Distracted driving accidents have been steadily rising since cell phones became popular. According to the government website Distraction.gov, 3,179 people were killed and 431,000 were injured in motor vehicle crashes involving distracted drivers in 2014. And even though the use of cell phones (hands-free devices included) while driving is banned in Texas, people still break the law and pick up that cell phone while behind the wheel. 64 percent of all traffic accidents in the United States involve a driver using a cell phone. Reading a text takes a minimum of five seconds to read. Within five seconds and traveling at 55mph, you cover the length of a football field. The time spent with your eyes on a cell phone screen instead of the road, the risk of getting into an accident increase by 400 percent. Cell phones aren’t the only culprits — A 2015 Erie Insurance survey reported that drivers do all sorts of dangerous things behind the wheel, including brushing teeth and changing clothes. Thirty-eight percent of the dis­tracted drivers who were using cell phones in fatal crashes were drivers in their 20s. And in case you didn’t know, 1 out of 5 young drivers think texting doesn’t make a difference to their driving performance. Eleven percent of all teen crash fatalities in 2013 involved distracted driving. And 8 percent of distracted driving fatalities in 2013 were teen drivers. Drivers aren’t the only ones who are affected. In 2014, there were 520 nonoccupants killed in distraction-affected car crashes. Of those nonoccupants, 420 of them were pedestrians. The percentage of drivers either text messaging or using handheld devices increased from 1.7 percent in 2013 to 2.2 percent in 2014. Drivers using cell phones are 18 percent slower responding to emergency situations than a fully alert driver. Hopefully, these facts give you pause before texting behind the wheel again. If you get into a car accident with a distracted driver, you’re going to need legal advice. 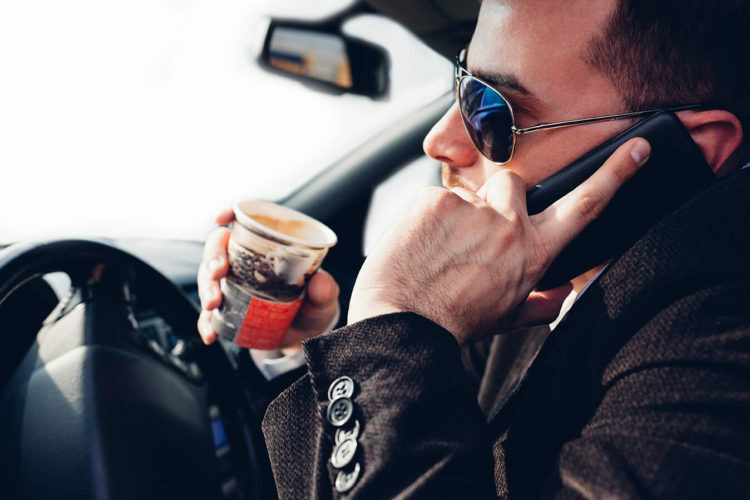 Contact the Houston distracted driving lawyers at de Lachica Law Firm today for a free consultation. * – Facts come from Distraction.gov.